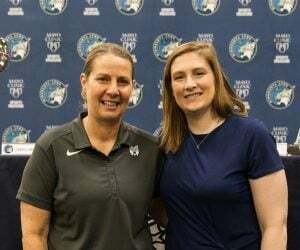 Minneapolis-St. Paul – The Minnesota Timberwolves, Minnesota Lynx and Iowa Wolves announced a new long-term partnership with Hy-Vee, Inc. to be the teams’ official grocery, pharmacy and floral partner. 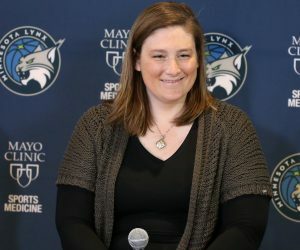 The partnership includes a digital signage takeover in arena prior to, during and immediately following the opening tip for all Timberwolves, Lynx and Iowa Wolves regular season home games. Hy-Vee will also have digital signage on the exterior of Target Center and additional signage elements in-arena throughout the games. 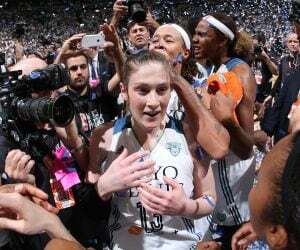 For the Iowa Wolves, Hy-Vee’s logo will be placed near mid-court inside Wells Fargo Arena in Des Moines, Iowa. One unique element of the partnership gives Hy-Vee the opportunity to leverage a professional sports team’s chef for custom content. Timberwolves & Lynx Executive Chef David Fhima will create a digital cookbook with Hy-Vee products, which includes a year-long content series on the teams’ digital, social and in-arena channels. The two organizations will also team up on community relations initiatives. 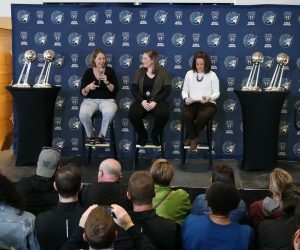 The partnership with the Timberwolves and Lynx will focus on fighting hunger while the Iowa Wolves will focus on Hy-Vee’s KidsFit initiative as well as entitlement of the team’s annual school day game called Education Celebration. The teams will support other in-market initiatives, such as in-store activations and/or school visits. Select Hy-Vee stores will also carry Timberwolves merchandise. Hy-Vee, Inc. is an employee-owned corporation operating more than 245 retail stores across eight Midwestern states with sales of $10 billion annually. The supermarket chain is synonymous with quality, variety, convenience, healthy lifestyles, culinary expertise and superior customer service. Hy-Vee ranks in the Top 10 Most Trusted Brands and has been named one of America’s Top 5 favorite grocery stores. The company’s 85,000 employees provide “A Helpful Smile in Every Aisle” to customers every day. For additional information, visit www.hy-vee.com.